"The Clinton Affair," premiering on A&E this Sunday, is a three-night documentary featuring interviews from over 50 people with knowledge of former President Bill Clinton's impeachment. Amazingly, one of the people the documentarians were able to sign on to the project was Clinton's former intern Monica Lewinsky, who he had an affair with in the White House. 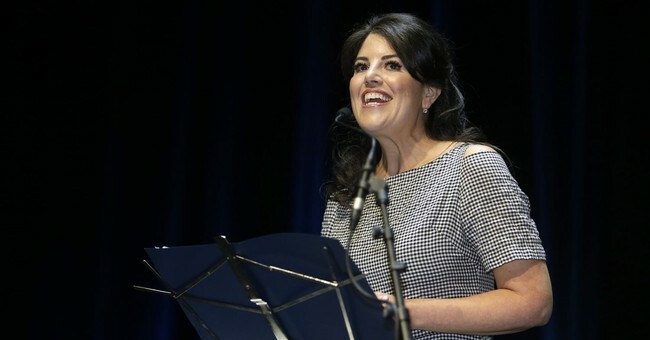 How did director Blair Foster and producer Alex Gibney convince Lewinsky to tell her side of the story? They were "politely relentless," Foster told CNN Friday morning. They explained to Lewinsky that the project was about more than just her affair with the president. It was about all the events leading to Clinton's fall from grace, including his relationship with other women like Paula Jones. Gibney said when they approached Lewinsky it felt as though she was "on the verge of being ready" to tell her story. They assured her they respected her testimony. Lewinsky was more comfortable once she discovered she was going to be part of the larger narrative. Once she began answering questions, the crew found her to be "a very thoughtful and articulate person." Lewinsky was also candid in a lengthy piece for Vanity Fair. In summary, she writes that she feels somewhat vindicated now that media are questioning Clinton about their relationship in the "Me Too" era and that she took part in "The Clinton Affair" because she wants her voice to be heard to prevent another young person from going through the same thing. Gibney said it's no wonder Lewinsky was a bit hesitant to do the interviews. When she was only 23 and the Clinton affair was unraveling before the public eye, the FBI approached her and interrogated her in a hotel room, telling her she was free to go at any time, but also threatening her with jail time. "The Clinton Affair" airs Sunday at 9 p.m. on A&E. Watch the preview below.